On October 14, 2010, the first meeting of the COSET Dean’s Student Advisory Council was held. The council is comprised of twelve students representing the ten departments of the college. The charge given to Council by Dean Lei Yu stresses the student’s role as a direct communication line between the students they represent and the college’s administration. The council was encouraged to take ownership of this council, and to take the initiative to talk with students about issues and bring to the council suggestions to improve the college. Dr. Yu further emphasized that the value of the student’s COST degree increases as college improves. Dr. Desirée Jackson will Chair the council alongside Co-Chair Andre White, a Mathematics major. 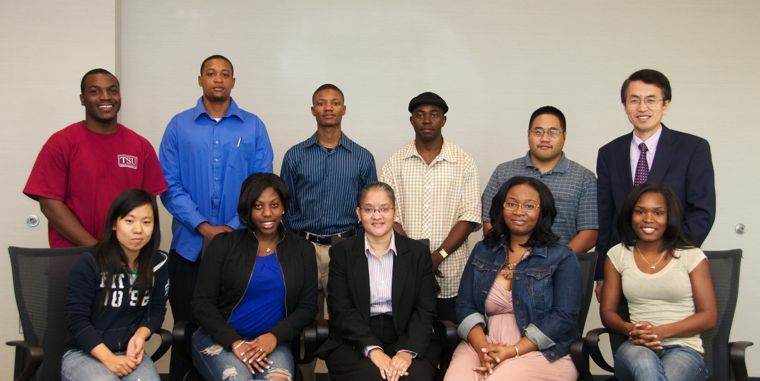 Other members of the Council include Jerry Garcia (Aviation Science and Technology), Emmanuel Obi (Biology), Olusegun Ogunniyi (Biology), Bobby Scott (Chemistry), Alicia Simmons (Computer Science), Chelse Hoover (Engineering Technology), Anthony Victorian (Engineering Technology), Bita Iranmadar-Maki (Environmental Science and Technology), Jermaine Potts (Industrial Technology), Landra Williams (Physics), and Yubian Wang (Transportation Studies). PDF plugin does not work here. download the PDF file.